The security environment of the European Union is more volatile, unpredictable, complex and ambiguous than at any time since the end of the Cold War. Today’s challenges, such as interstate conflicts, natural disasters, terrorism, failed states, cyber-attacks and hybrid warfare require a strong and common European approach. It is vital for us Europeans to respond to these challenges rapidly, consistently, effectively, with one voice and in concert with our allies, partners and other international organisations. No single EU Member State can respond to global challenges on its own. Only by pulling their weight together within the EU, the Member States can exert an influence on the world stage that they would not otherwise possess. If the vision of a Europe which can act independently to defend its people and its borders is to become a reality, we need to act, and act fast. The foundations have already been laid. In 2017, the European Defence Union was established. Since then, we have been engaging in Permanent Structured Cooperation (PESCO), which marked a fundamental step towards closer cooperation in security and defence among the Member States. The European countries need to plan more intelligently together, invest more effectively together and, when a crisis occurs, act more quickly together. With that aim in view, we are working very closely together to modernise our armed forces. Further, a European headquarters has been set up from which civilian and military operations can be run. Even though the transatlantic partnership is being challenged, yet it remains indispensable for security and prosperity on both sides of the Atlantic. Therefore, combining and strengthening our forces in Europe does not pose a threat to the transatlantic security cooperation. On the contrary, the strategic partnership between the EU and NATO is fundamental to address the security challenges facing the EU and its neighbourhood. Europe’s efforts will clearly benefit NATO as well, since 22 out of 28 EU Member States are also NATO members. Both organisations have clearly distinct features and they should cooperate in full respect of each other’s autonomy and decision-making procedures. Considering this background, French President Emmanuel Macron’s and German Chancellor Angela Merkel’s recent commitment to work towards European armed forces makes sense. This would strengthen the alliance with the United States but would also allow the European Union to address the specific European concerns, security issues and interests that are not always tally with those of the North Atlantic Pact. EU citizens quite rightly expect Europe itself to offer them effective security and protection. European armed forces will be nationally accountable, work closely together and use the same equipment, and will be trained and ready to carry out joint operations – Just think of the Franco-German Brigade or the German-Dutch Corps. Strengthened in this way, these same national armed forces will be able to shoulder a greater burden within NATO. However, Europe’s ability to act does not exclusively hinge on the availability of well-equipped troops. The ability to move troops and personnel quickly across borders is essential for both the EU and NATO. Only if troops can be deployed quickly throughout the Alliance, deterrence is credible. For this reason, improving military mobility was rightly identified as a priority within the framework of the EU’s Permanent Structured Cooperation. In addition to the legal and administrative aspects, the transport infrastructure poses a major challenge. Many bridges are not designed for the transport of heavy equipment, there are too many bottlenecks and intersections with too small a turning radius for heavy military transport. Rail transport also does not always function smoothly for military goods. The number of rail wagons in the EU is not sufficient and there are not enough loading and unloading stations for military equipment. Here, too, administrative procedures differ from state to state. Security is a top priority for the EU. 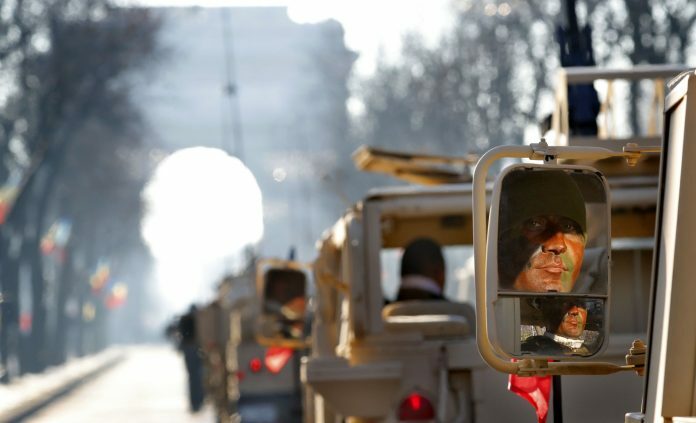 That is why we in the European Parliament recently adopted a report on improving military mobility. In addition to the objective of simplifying and standardising administrative procedures, the next EU multiannual financial framework from 2021 to 2027 will provide for a total of over EUR 30 billion to improve cross-border transport routes, EUR 6.5 billion of which will be for improving military mobility. Further, we need to introduce in the foreign policy sphere procedures similar to those which have worked so well for the last year in the area of European defence policy. It must be possible to move forward and take decisions on the basis of the support of a majority of Member States. If we keep getting bogged down in rigidly national ways of thinking, Europeans will always be foreign-policy lightweights notorious for never agreeing. If we speak with one voice, people will listen to us and we will be able to influence security policy decision-making at a global level. Progress has been made towards a common defence policy. However, to date cooperation is still in the development stage and much more needs to be done to ensure that the EU and the Member States reap the rewards of deep, sustained, long-term cooperation on defence. 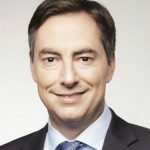 David McAllister is a Member of the European Parliament for the Christian Democratic Union of Germany. He chairs the institution’s Committee on Foreign Affairs (AFET). Between 2010 and 2013, he served as Prime Minister of the German state of Lower Saxony.